Houses aren’t the only structures that have to bear damage and go through roof repairs. Commercial roofing experiences a range of problems in Dallas. All building owners have to deal with commercial roofing problems at some point in our lives. Problems develop over time in commercial roofing. Preventive maintenance from a credible roofing contractor can help you avoid most of these commercial roofing problems. By identifying commercial roofing problems at the right time, you can save yourselves from last-minute emergencies. This article discusses the most common roofing problems in Dallas and how you can solve them. Most businesses put their heavy-duty HVAC equipment on their roofs. While putting them on roofs may be convenient, it isn’t good for commercial roofing. HVAC leaks cause major damage to the portion of the roof under the HVAC unit. If gone unnoticed, it can cause both exterior and interior damage. The HVAC unit itself can break through the roof surface by the weight of its sheer mass. An HVAC’s weight coupled with a leak can gravely damage the roof. Moreover, these leaks seep into the roof and damage artwork, machinery, phone systems, and furniture. These types of commercial roofing problems can cost you a lot. You need to ensure that your building goes through roof maintenance at least once in six months. However, you can only trust reliable roofing contractors in Dallas to do the job for you. Roof flashings are made of different waterproofing materials. Their composition can range from rubber and even plastic material. However, most times these flashings are made from rust-resistant metals copper, aluminum or galvanized steel. Commercial roofing in Dallas, TX experts install roof flashings wherever there is a termination or intersection on your roof. Flashings seal the gap in these areas. You can easily see flashings at vent pipes, roof ridges or around dormer walls and skylights. The main reason for installing flashings on commercial buildings is to keep out water from commercial roofing. Flashing can get damaged easily commercial buildings in Dallas. Sometimes, these flashings can get damaged or go missing due to bad weather. The best solution for these problems is to call on a commercial roofing service to fix the problem for you. It’s hard to keep a track on of all of them. However, preventive maintenance can resolve this issue in commercial roofing. You can consult the service of Longhorn commercial roofingin Dallas, TX to have a bi-annual inspection. A reliable commercial roofing company in Dallas, TX does more than inspecting the issue at hand; it can solve the problem before it has the chance of becoming a nuisance. People seldom have an idea about how damaging foot traffic can be for roofs. Intensive foot traffic can leave puncture marks on the strongest of commercial roofing. Sometimes it can also result in scraps and even sizable holes in the roof. These problems foster through negligence and build over time in Dallas. Minor scraps look harmless; however, they allow rot-causing moisture to seep into the building’s roof. A protective membrane like walk-ons or mats in areas of high traffic can reduce the effect of foot traffic on roofs. Like everything else in the universe, protective components on roofs are also made of atoms. Atoms expand when you heat them and shrink when being cooled. Sharp changes in temperature can cause the building’s roof material to expand or shrink. This can cause many problems for commercial roofing. Roofing material can deteriorate and crack under temperature changes. This can also pull apart components like metal flashing. The most vulnerable materials to these changes are synthetic rubber coverings such as EPDM. Rubber has more flexible atoms than metals and it causes them to expand or contract more easily. Weather in Dallas tends to get too hot to handle sometimes. Preventive maintenance is the best solution to this problem. Hiring Longhorn commercial roofing in Dallas, TX can nullify the effects of temporal changes on your roofs. This way your staff is absolved from redundant checkups on your roofs. Moreover, the company doesn’t have to suffer from emergency roof problems. Dallas has itsfair share of rains in some seasons. Besides, refreshing the environment the rain can clampdown some heat off the Texan Summer. Though the water from rain isn’t a problem for sloped roofs, is bad for any building material. Water has the power to corrode the strongest buildings over time. Most commercial buildings in Dallas tend to have flat roofs. Flat roofs not built by professional commercial roofing services can have uneven surfaces. Uneven surfaces accumulate water on your roof and damage it as time passes. Water accumulation on commercial buildings can also happen when the building’s drainage system isn’t effective. However, even buildings that have effective drainage can also suffer from pools of water. This happens when the drainage system of the roof gets clogged from debris. To resolve these problems, you’ll have to call Longhorn commercial roofing in Dallas, TX. 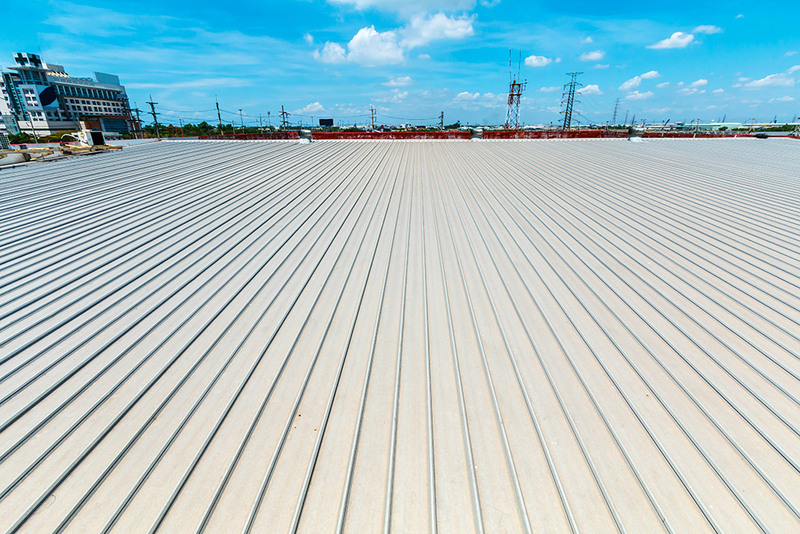 The commercial roofingcompany can taper your roof surface so that water redirects to drains. If you’re worried from recurring roof problems in your building, you can count on Longhorn Commercial Roofing. The company provides reliable commercial roofing all across Dallas and the Fort Worth area. To benefit from their expertise at Longhorn commercial roofing services in Dallas, you can call them at 817-645-5700. You can also get a quote from by visiting their website.